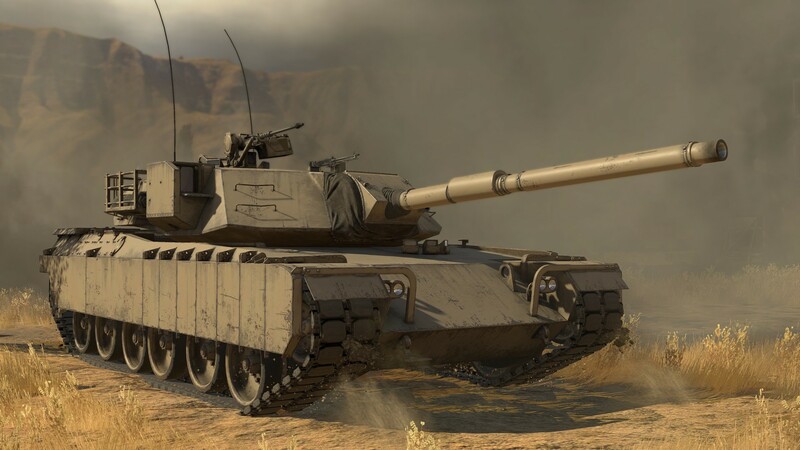 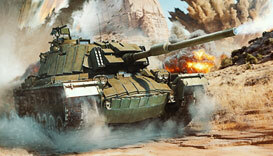 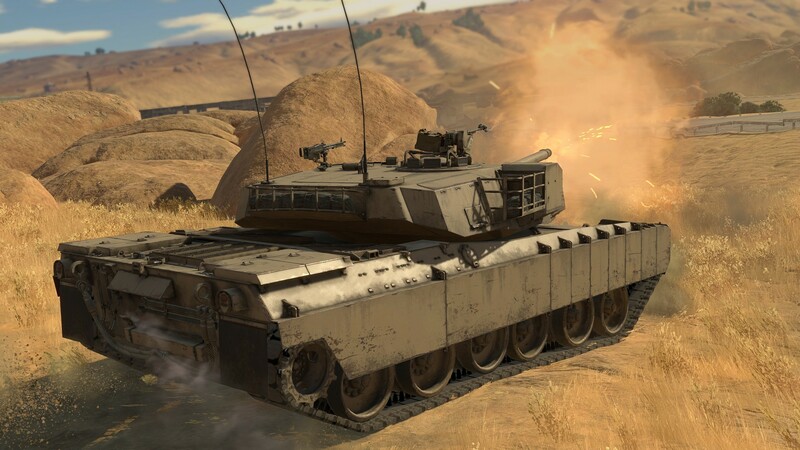 The XM-1 (GM) is a M1 Abrams tank prototype, the contest model from General Motors company. 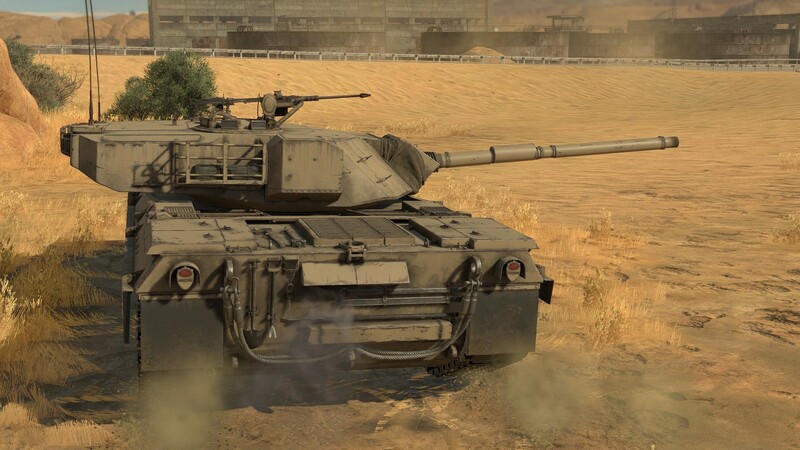 It includes a diesel powertrain and mixed undercarriage with six roller wheels per side, three with hydraulic suspension and three with torsion bar suspension. 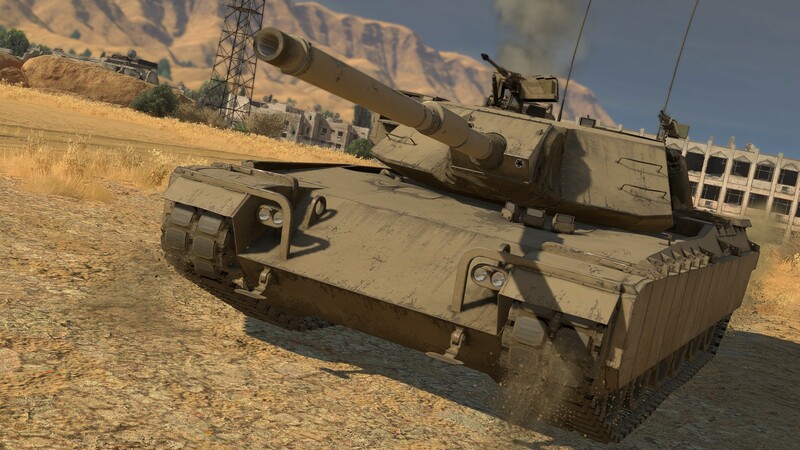 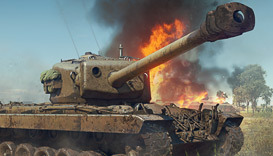 The tank’s main armament consists of a 105 mm rifled M68 cannon, The XM-1 tanks carry 55 shots and have a decent range of shells to choose from: fin-stabilized APFSDSs with discarding sabot, HESH, non-rotating HEAT-FS shells, and smoke shells.The 1500-horsepower engine – a diesel engine on the XM-1 (GM) and gas-turbine on the XM-1 (C) – allows the tank to reach up to 80 km/h. 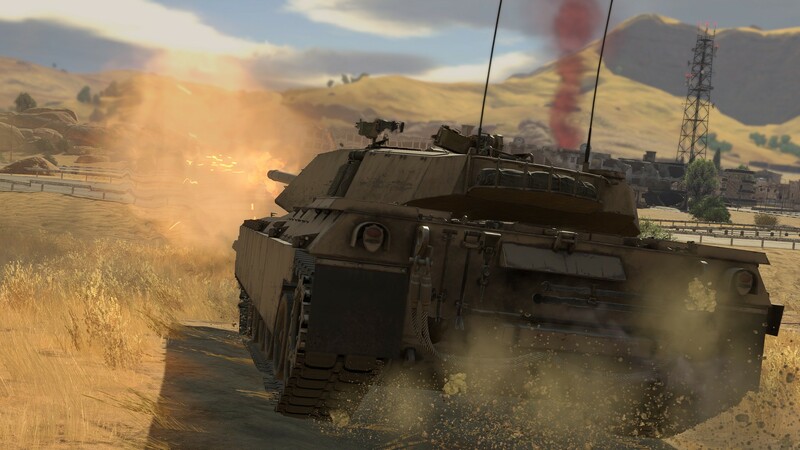 The tank gets up to speed very quickly and is a pleasure to drive.